Houston PolyTank is a company that has a unique method of manufacturing storage tanks and reactor tanks that house aggressive chemicals like bleach or sulfuric acid. While their products are incredibly innovative, their logo was not. During our review of their marketing assets, we determined that their current logo was somewhat restrictive. The assessment was that the logo did not adequately convey the strengths of the brand or the technical genius of the product and this important element was needed as a part of their efforts to develop attractive marketing collateral materials and update the website. Houston PolyTank tanks are significantly superior to their competition in terms of the structural integrity of their tanks. While rotomolded tanks can bulge or buckle easily, Houston PolyTank tanks have incredible rigidity (which is why their customers turn to them to contain harsh chemicals that need special handling). The new logo kept the swoosh of the previous logo but incorporated it in an updated contemporary way. We were able to develop a new logo that also included uprights to signify the structural stability of their tanks but also double as the letters of the company name. In addition, we changed the color scheme to a more dynamic red, gray and gold palette. The gold conveys their standard of excellence, is completely complimentary to the red and gray, and results in an overall color palette that feels more fresh and contemporary. 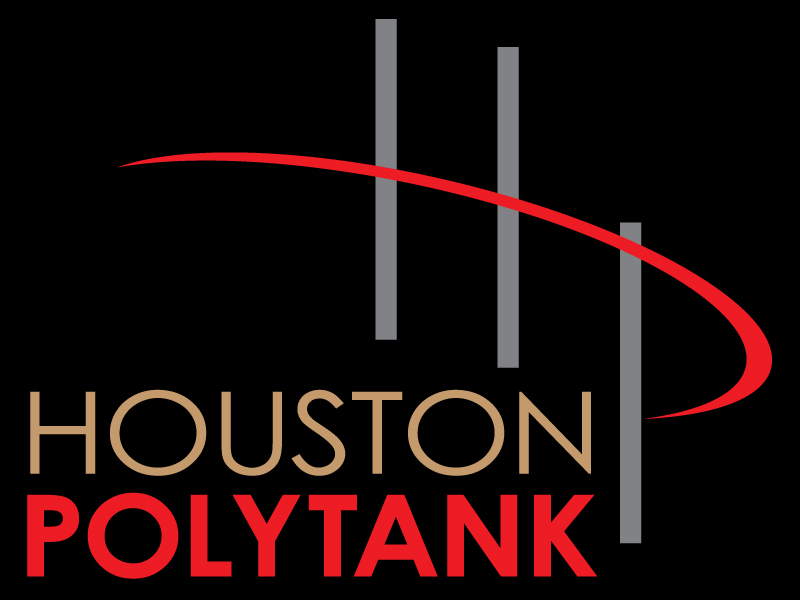 This new logo was rolled out at the end of 2015, and we believe it better reflects Houston PolyTank’s blending of innovation in polymer technology with time-tested methods that are a hallmark of their products. If you’d like to learn more about Houston PolyTank, you can visit their website here.